The Irish Volunteer Force (IVF) was a paramilitary body publicly launched in Dublin on 25th November 1913. One of its leaders, Eoin MacNeill, one of the leading figures in the Gaelic League, called on Irish nationalists to form a force to reinforce their demand for Home Rule, just as Ulster unionists had established the Ulster Volunteer Force in 1913 to resist it. Many of its founders, such as Bulmer Hobson, were also members of the Irish Republican Brotherhood, a secret organisation sworn to the establishment of an independent democratic republic in Ireland. The object of the IVF was to "secure and maintain the rights and liberties common to all the people of Ireland". 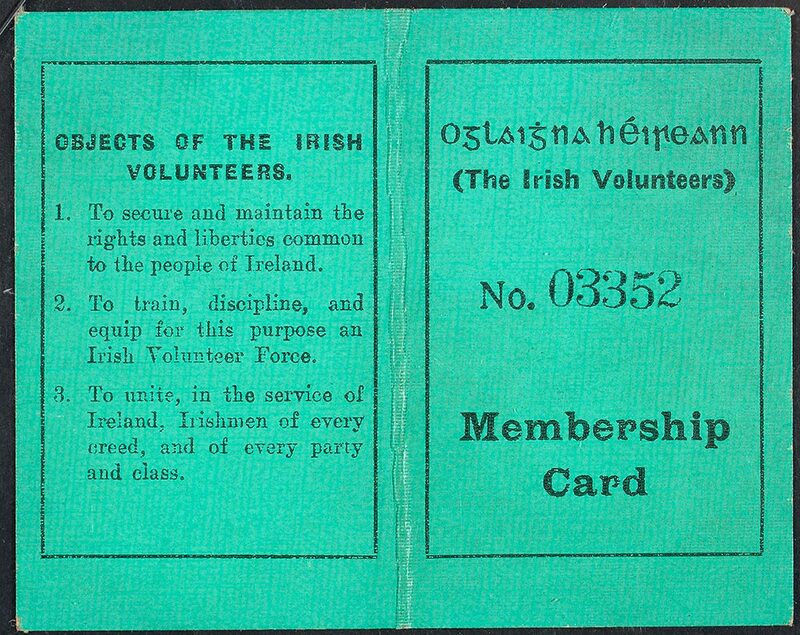 By May 1914, 75,000 men had joined the Irish Volunteers. Its membership reached 160,000 by mid-1914. The proliferation of armies in Ireland put further pressure on the Liberal government to resolve the Home Rule crisis swiftly. 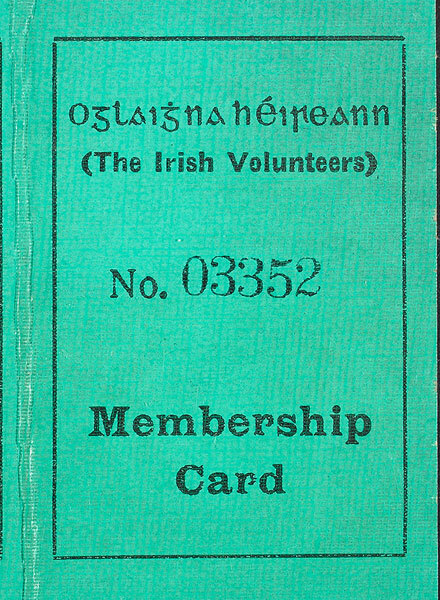 Membership card for the Irish Volunteers.